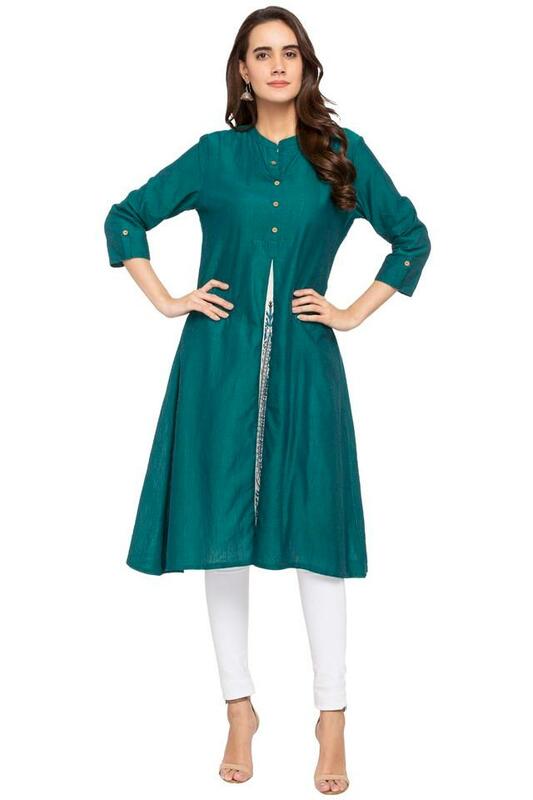 Put a twist in your style by wearing this kurta brought to you by Stop. 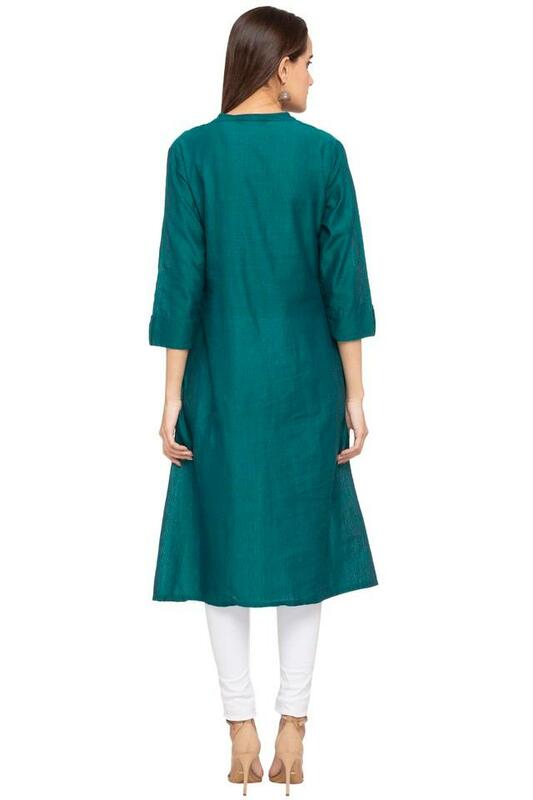 Featuring a mandarin collar, it also comes with three quarter sleeves that render it fashionable. 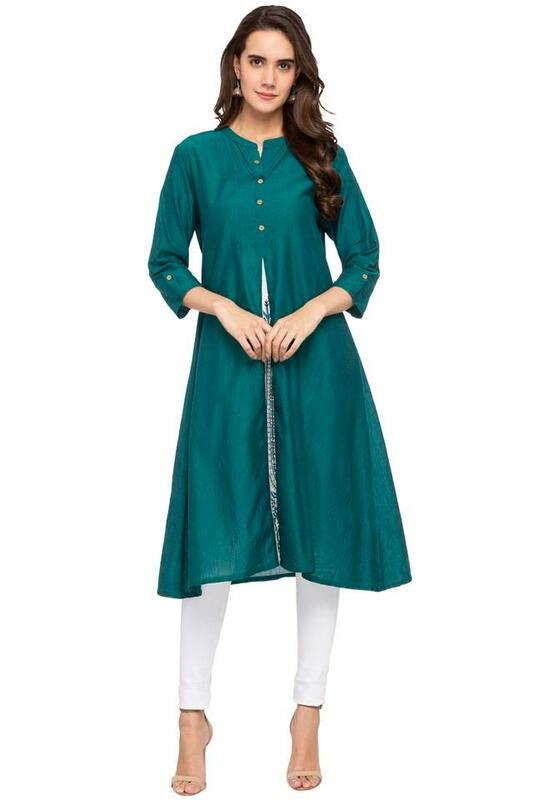 Besides, it has a slub pattern that adds to the design, while the use of a good quality fabric makes it comfortable to wear. Stylise your casual look by wearing this kurta, which comes with a slub pattern. You can team it with an equally stylish pair of leggings or palazzo pants to experiment with style.